In this how to buy Bitcoin with PayPal guide, I am going to show you five different platforms which this option is available. I’ll also give you some of the advantages and disadvantages of using each of them. When Bitcoin was created in 2009, it was almost impossible to purchase during the first few years of trading. This was because there were hardly any exchanges that sold cryptocurrency! 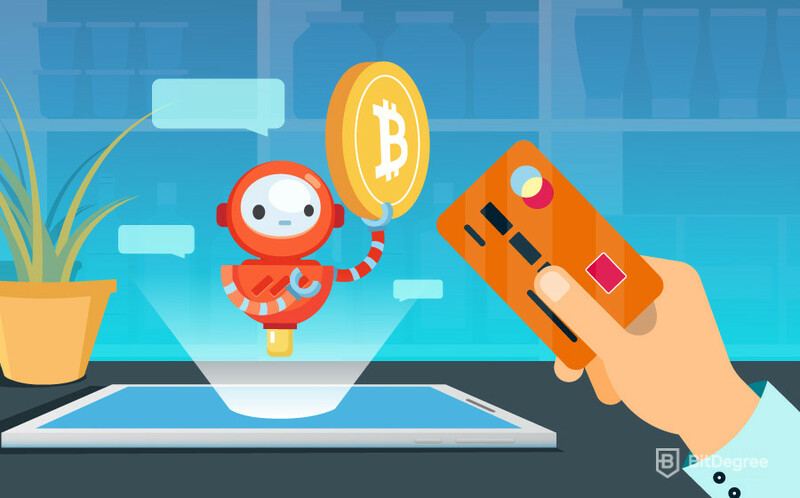 Even if you could find a reliable exchange, it was really difficult to find one that accepted real-world payment methods. However, in 2018, it is now really easy to buy Bitcoin with a debit/credit card or a bank account. But did you know that you can also buy BTC with PayPal? Well, now you do, and today I’m going to show you how! I am then going to give you a really simple step-by-step guide! By the end of reading this, you will know how to buy Bitcoin with PayPal! So, what are you waiting for? Let’s start by finding out about why it is difficult to use PayPal when purchasing cryptocurrencies. 1 Where Can you Buy Bitcoin with PayPal? Where Can you Buy Bitcoin with PayPal? It is important to remember that the majority of cryptocurrency exchanges do not accept PayPal. Even a majority of the exchanges that allow you to deposit using fiat currency don’t support it. The main reason for this is the way that the PayPal chargeback policy works. Essentially, when people pay for products using PayPal, they are offered something called “Buyer Protection”. This means that if they are not happy with the product they purchased, they can raise a claim with PayPal in an attempt to get their money back. In the majority of cases, if the seller can’t prove that they actually delivered the item, PayPal will take the funds back and refund them to the buyer! As you can imagine, there is no way to prove that the buyer didn’t actually receive the Bitcoin (even if they did). This is why exchanges are worried about including PayPal within their available payment methods. However, that doesn’t mean that you can’t do it, because as I am about to show you, there are a few different ways you can. Each has their own pros and cons, which I’ll explain below some of the best exchanges to buy Bitcoin with Paypal! Let’s start with LocalBitcoins.com. LocalBitcoins are a peer-to-peer exchange that allows people from more than 200 different countries to buy and sell BTC. It was created in 2012 and their headquarters are in Finland. The greatest thing about LocalBitcoins is that they supports more than 20 different payment methods – including PayPal! The way it works is simple. If somebody wants to sell their Bitcoin, they list the price that they want to sell it for in their local currency, along with a list of payment methods that they accept. As PayPal is a global payments system, it doesn’t really matter which country you choose! Once you find a seller that is happy to accept Bitcoin, you enter the amount of BTC that you want to buy and then wait for the buyer to accept. Once they do, their Bitcoin is locked into an ‘Escrow’. This protects both the buyer and the seller from losing their Bitcoin or payment. As soon as the PayPal payment has been transferred, the buyer notifies the seller. When the seller can see the payment is in their PayPal account, they notify LocalBitcoins and the BTC is instantly released! I have used PayPal to Bitcoin before on LocalBitcoins and the process took no more than 10 minutes. There is one thing to remember though — because PayPal carries a bit of risk for the seller, they sometimes charge much higher rates! Although it is possible to trade anonymously on LocalBitcoins, some sellers ask that you verify yourself to them. They may ask you to upload a copy of your ID, confirm your email address and phone number before they accept to trade with you. If you are using PayPal to buy Bitcoin, then the LocalBitcoins seller will most likely ask you to do this. So, now that you know about LocalBitcoins, the next part of my ‘Buy Bitcoin with PayPal’ guide is going to look at VirWoX! The next option on my list of merchants that allow you to buy Bitcoin with PayPal is a platform called VirWoX. This company was created in 2007, which was two years before Bitcoin was launched! Basically, the platform allows you to buy SLL coins using PayPal. You can then use the built-in exchange to swap the SLL tokens for Bitcoin. Once you have done that, you can simply withdraw the Bitcoin back to your own personal wallet! As I mentioned earlier, there is more risk for sellers who accept PayPal, so VirWoX have installed limits. When you register you will need to provide some personal details like your full name and nationality. This will allow you to buy 90 EUR worth of coins every 24 hours. These limits are increased as your account gets older. The maximum you are allowed to buy is 1,000 EUR per 24 hours, which you can do after 60 days of registering an account. An additional security measure also means that when you first open an account, you won’t be able to buy BTC with PayPal until 48 hours have passed. Another thing to consider is that the fees to buy Bitcoin with PayPal on VirWoX are really high. Firstly, you will be charged 3.4% for using PayPal. After that, the exchange rate between SLL and BTC can be really bad. However, if this is the method you want to go for, fees will always be higher when using PayPal to buy Bitcoin. So, now that you know about VirWoX, the next part of my ‘Buy Bitcoin with PayPal’ guide is going to look at eToro. The eToro platform is a major marketplace where people can buy and sell a range of financial products. This includes real-world currencies (like USD/EUR), commodities (like Gold/Oil), stocks (like Apple) and of course Bitcoin! EToro was created in 2007 and now have over 5 million customers in more than 170 countries! However, the platform is slightly different as you don’t actually ‘own’ any of the assets that you buy or sell. Instead, you are purely speculating on whether the price of the asset is going to go up or down. EToro are fully regulated by various national authorities including the Financial Conduct Authority (in the UK) and the Cyprus Securities & Exchange Commission. This means that your funds are protected up to a certain amount! 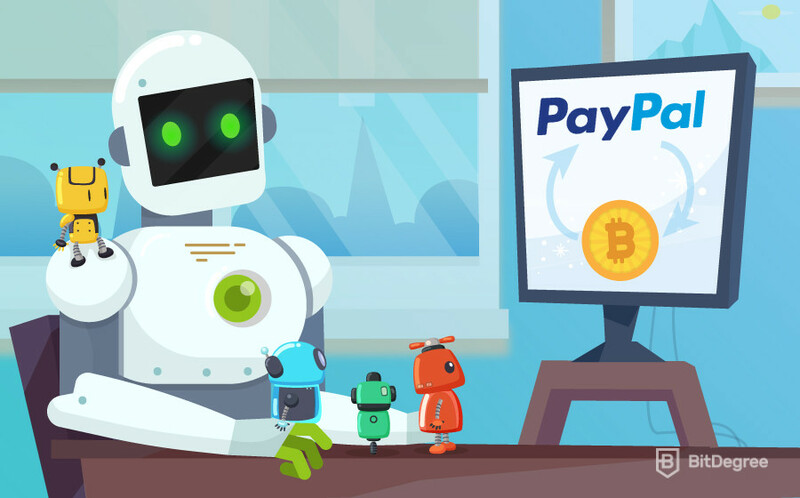 Here’s how it works when you buy Bitcoin with PayPal at eToro Once you have created an account, you can instantly make PayPal deposits. You can then make a bet on the price of Bitcoin going up (or down). If at any point you want to close the trade and make a withdrawal, your trade is converted to real-world fiat currency. You can then simply withdraw it back to your PayPal account! An even bigger perk to using eToro to buy BTC with PayPal, is that you can purchase up to $2,250 worth of Bitcoin without verifying your account! So, now that you know about LocalBitcoins, VirWoX and eToro, in the next part of my guide I am going to give you step-by-step instructions on how to buy Bitcoin with PayPal. I will show you how to purchase using all three platforms. Again, let’s start with LocalBitcoins! Visit the LocalBitcoins website by clicking this link. Click on the green Sign up free button and follow the account registration process. I would advise that you enter accurate information as you will be more likely to find a seller that is happy to accept a Paypal payment from you. Once your account is set-up, click on Buy Bitcoins at the top of the page. Enter your local currency value of Bitcoin you want to buy, then select the country that you want to buy from. Although I have selected the United Kingdom, you can choose any country you want.After that, click on the all online offers drop down box and select Then click on Search. You will now see a long list of sellers that will allow you to buy Bitcoin with PayPal. The results are ranked by the price that the seller is willing to accept. Next to the username, you will also see the total amount of trades that the seller has completed, along with their feedback score. As you will see, the top seller has completed more than 500 trades and they have a 100% feedback score (this is super important). Not only this, but they are also offering PayPal to Bitcoin at the cheapest rate! Once you have selected a seller, click on Buy. You are now at the final stage before your trade request is sent to the seller. Check that the information is correct, including the rate and the amount you want to buy. On the right-hand side, you will see some individual terms specified by the seller. In this example, the seller is requesting that the buyer has completed at least 30 trades. As I have been using LocalBitcoins for many years now, I meet his terms so I can move on to the next step. If you don’t, simply go back and choose another seller! 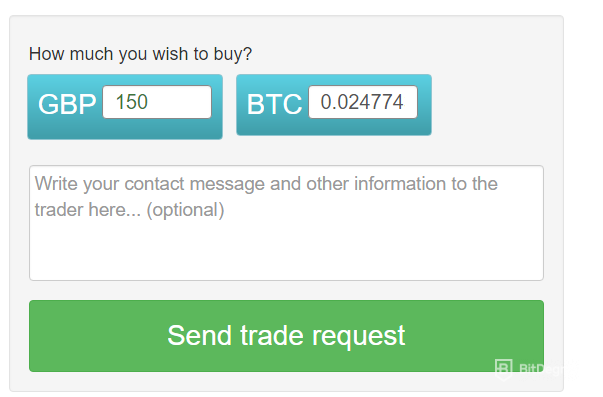 Now you need to simply click on Send Trade Request. As soon as the seller accepts your Bitcoin with PayPal request, their coins will be locked in escrow. You will be provided with the PayPal address that you need to transfer the funds to. As soon as you have done it, click on Payment Sent. The seller will then be notified that you have sent the payment. They will check their PayPal account and as soon as they see it, and the Bitcoin will be released to your LocalBitcoins wallet! You can then simply withdraw them back to your personal wallet! So, now that you know how to buy Bitcoin with PayPal on LocalBitcoins, the next part of my step-by-step guide is going to look at VirWoX. Visit the official VirWoX homepage by clicking this link. On the left side of page, click on Not Registered Yet. Follow the account opening process. You will need to choose a username and enter your email address, full name and country of residence. Once you have registered and logged in to your newly created account, click on Deposit on the left hand side of the page. You will now see a long list of payment methods. Scroll down and look for PayPal. Enter the amount you want to deposit and then click on the Check out with PayPal You will now be re-directed to your PayPal account to complete the transaction. Your account will now be funded with your chosen currency (mine was USD but it could also be EUR). Next, look for Exchange on the left hand of the page and then click on USD/SLL (or EUR/SLL). Exchange your USD/EUR for SLL coins at the best market price. This should be completed instantly. Exchange your SLL coins for Bitcoin at the best market price. Again, this should process instantly. Your account is now funded with Bitcoin. Now you can withdraw them to your personal Bitcoin wallet! Now that you know how to buy Bitcoin with PayPal at VirWoX, the final part of my step-by-step guide is going to show you how to do it with eToro! 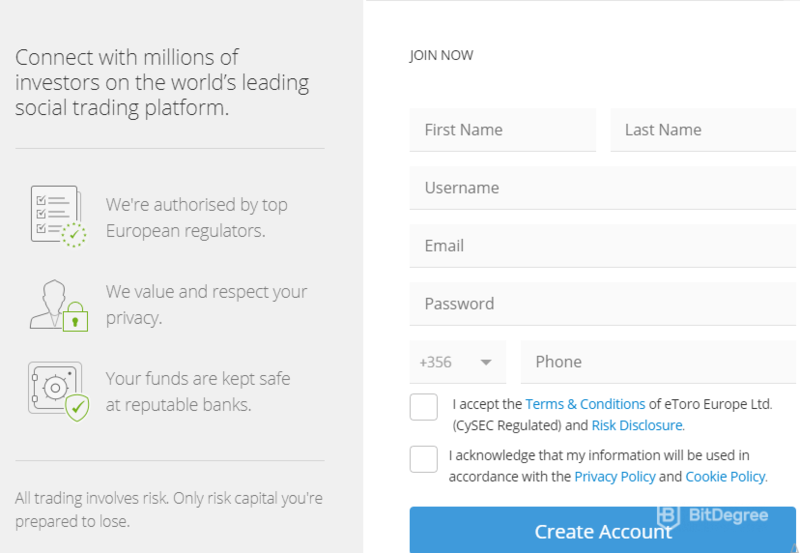 Visit the official eToro homepage by clicking on this link. At the top of the page, click on Get Started, followed by Sign Up. Follow the account opening process, which will require you to enter your full name and email address. You will also need to choose a strong password. Once your account is set up and you are logged in, click on Deposit Funds. Enter the amount of funds that you want to deposit and then select PayPal. You will be re-directed to the PayPal website. Log in to your PayPal account and complete the transaction. Now that your account is funded, search for Bitcoin at the top of the page and then click on Trade. Enter the amount of Bitcoin that you want to buy in your local currency, then click on Buy. Don’t forget, you do not actually own the Bitcoin that you have just bought. You are simply betting on the price going up or down. I would only recommend this option to users who understand the risks of using this platform and have read all of the terms. And that’s the end of my ‘Buy Bitcoin with PayPal’ guide! As you now know, trying to buy Bitcoin with PayPal isn’t as easy as using other payment methods, such as a debit/credit card or bank account. However, it is most certainly possible. Each of these exchanges have their own pros and cons — it all depends on what you are looking for. However, if you are simply looking for an exchange with the lowest fees, then I would suggest LocalBitcoins. Just make sure you only open trades with reputable traders. If you’re looking for a place to buy Bitcoin with a credit card, see my guide here. So, which exchange are you going to use? Let me know in the comments below!